Rocktober! Day 28 | Awesomeness For Awesome's Sake. Hang tight, kids…we’re so close to being finished with Rocktober, I can taste it! 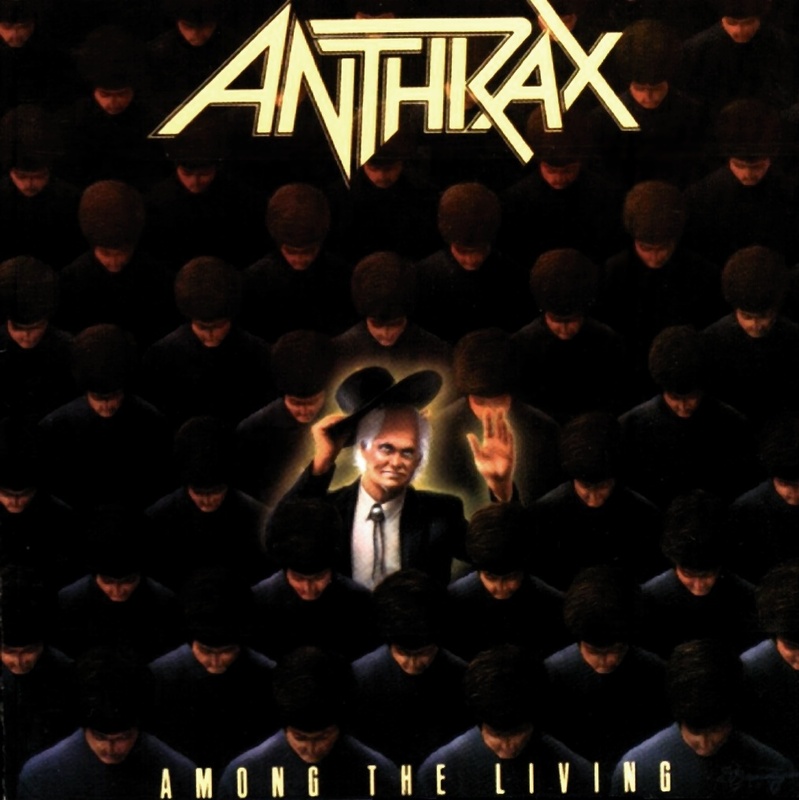 Today I bring to your attention, the Among The Living LP by ANTHRAX! Let’s start with the cover. Who’s that standing out from the crowd of faceless nobodies? Why, it’s the delightful, Reverend Henry Kane! The band once said that this dude was the one guy that really scared them…and that’s saying something for a bunch of guys that love horror movies and books as much as they do. And speaking of books, there’s not one but two, cuts on this record inspired by world famous horror writer, Stephen King! First up, the title track: Among The Living, pays homage to The Walkin’ Dude from King‘s bloated masterpiece, The Stand. Then there’s A Skeleton In The Closet, a breakneck thrasher based around the events of Todd Bowden’s fascination with Kurt Dussander, the “Blood Fiend” of Patin, from King‘s novella, Apt Pupil. There you go…Rocktober the 28th! It may have come late this year, but it’s done…and at this point, that’s all that matters to me.